All term definitions are from the National Roofing Contractors Association (NRCA) technical glossary. The ability to resist being worn away by contact with another moving, abrasive surface, such as foot traffic, mechanical equipment, wind-blown particles, tree limbs, etc. The ability of a material to accept within its body quantities of gases or liquid, such as moisture. To cause two surfaces to be held together by the combined strength of the molecular forces and the mechanical interlocking achieved between adhesive and the bonded surface. (1) The degree of attachment between two surfaces held together by interfacial forces—mechanical or chemical or both; (2) the degree of attachment or bonding between application of the same substance; (3) the combined ultimate strength of the molecular forces and the mechanical interlocking achieved between the adhesive and the surface bonded. Adhesion is measured in shear and peel modes. A cementing substance that produces a steady and firm attachment or adhesion between two surfaces. (1) Crushed stone, crushed slag, water-worn gravel or marble chips used for surfacing a built-up or polymer-modified bitumen roof system; (2) any granular material. (1) The effect on materials of exposure to an environment for an interval of time; (2) the process of exposing materials to an environment for an interval of time. Air leakage into the building. The unintended movement of air from a location where it is intended to be contained to another location. A cavity or unfilled space between two constituent parts in a roof assembly or other enclosure element of a building. Cracking of a surfacing bitumen, asphalt, coating or mastic or coating on a spray polyurethane foam (SPF) roof system that occurs during the aging process in which the loss of volatile oils and the oxidation brought about by solar radiation produces a pattern or cracks similar to an alligator’s hide; the cracks may or may not extend through the surfacing material. Sheet steel with a thin aluminum coating bonded to the surface to enhance weathering characteristics. A nonrusting, malleable metal sometimes used for metal roofing and flashing. The temperature of the air existing on all sides; air temperature. A term used for a flashing located at the juncture of the top of a sloped roof and a vertical wall, chimney or steeper-sloped roof. A metal roof panel; usually requires solid decking underneath and relies on slope to shed water. Shingles traditionally composed of a heavy fiber glass mat base and ceramic-coated mineral granules that are tightly embedded in carefully refined, water-resistant asphalt. Also known as laminated or dimensional shingles, architectural roofing shingles provide a three dimensional appearance. A raised, flashed assembly, typically a single- or double-wood member attached to a wood base plate, which is anchored to the roof deck. It is used to separate large roof areas or roof systems composed of different/incompatible materials and also may be used to facilitate installation of tapered insulation. A group of natural, fibrous impure silicate materials. A dark brown to black cementitious material in which the predominating constituents are bitumens found in a natural state or more commonly left as a residue after evaporating or otherwise processing crude oil or petroleum. A trowelable mixture of solvent-based bitumen, mineral stabilizers, other fibers and/or fillers. It can be classified according to two available standards: ASTM D2822, applicable to asbestos-containing materials and ASTM D4586, applicable to asbestos-free materials. Both standards contain provisions for Type I and Type II materials. A shingle manufactured by coating a reinforcing material (paper felt or fiberglass mat) with an asphalt-based coating and having mineral granules on the side exposed to the weather. The full designation in current use of the largest voluntary standards development organizations in the world formerly known as the American Society for Testing and Materials. The cavity or open space above the ceiling and immediately under the roof deck of a steep-slope roof. Rolling a coating by hand, normally behind the spray or power roller applicator, to ensure better coverage and adhesion. A building profile featuring a rounded profile to the roof on the short axis but with no angle change on a cut along the long axis. Plies or strips of roof membrane material used to closeoff and/or seal a roof at the horizontal-to-vertical intersections, such as at a roof-to-wall juncture. Membrane base flashing covers the edge of the field membrane and extends up the vertical surface. (1) Cap or cover; (2) in a metal roof, a metal closure set over, or covering the joint between, adjacent metal panels; (3) in a steep-slope roof system, a strip of wood or metal usually set in or over the structural deck, used to elevate and/or attach a primary roof covering; (4) in a single-ply membrane roof system, a narrow plastic or metal bar that is used to fasten or hold the roof membrane and/or base flashing in place. A name applied to a common standing seam metal panel profile that may use a square- or rectangular-profile snap-on cap or may be attached to and formed around a beveled wood or metal batten. A primary member, usually horizontal, that is subjected to bending loads. There are three types: simple, continuous and cantilever. (1) A plate used to distribute fastener load in metal panel roof systems placed over rigid board insulation and through-fastened to the roof deck; (2) a steel plate that is set on the top of a masonry support on which a beam or purlin can rest. A metal panel profile featuring a step-down profile that runs perpendicular to the slope of the roof; has a shingled appearance and is water-shedding. (1) A class of amorphous, black or dark-colored, (solid, semi-solid or viscous) cementitious substances, natural or manufactured, composed principally of high-molecular-weight hydrocarbons, soluble in carbon disulfide, and found in asphalts, tars, pitches and asphaltites; (2) a generic term used to denote any material composed principally of bitumen, typically asphalt or coal tar. A waterproofing method available for positive-side waterproofing only; cold or hot bituminous application with reinforcing material. Fiberglass or other compressible fibrous insulation, generally available in roll form. (1) A raised portion of a roofing membrane resulting from local internal pressure, such as an enclosed pocket of air, which may be mixed with water or solvent vapor, trapped between impermeable layers of felt or membrane or between the membrane and substrate; (2) the similarly formed surface swelling in coated prepared roofing such as asphalt shingles; (3) separation of a coating from a substrate; may be caused by water absorption and the resultant swelling or subsurface corrosion. (1) Sections of wood (which may be preservative-treated) built into a roof assembly, usually attached above the deck and below the membrane or flashing, used to stiffen the deck around an opening, act as a stop for insulation, support a curb, or serve as a nailer for attachment of the membrane and/or flashing; (2) wood cross-members installed between rafters or joists to provide support at cross-joints between deck panels. (1) The adhesive and/or cohesive forces holding two components in positive contact; (2) a surety; typical types are: bid, performance and payment; (3) a guarantee relating to roof system performance. A chemical substance applied to a suitable substrate to create bond between it and a succeeding layer. (1) A covering made of flexible material that may be preformed to a particular shape, used to exclude dust, dirt, moisture, etc., from around a penetration; (2) a flexible material used to form a closure, sometimes installed at inside and outside corners. Structural elements installed to provide restraint or support or both to other members so the complete assembly forms a stable structure; may consist of knee braces, cables, rods, struts, ties, shores, diaphragms, rigid frames, etc. (1) An instance of a membrane or base flashing unsupported at a juncture; (2) occurs in steep-slope roofing when the nesting method is not used in re-covering, such as roofing over standard-size asphalt shingles with metric-size asphalt shingles. A sheet (membrane, felt, etc.) lap facing upslope allowing water to hit against the edge of it rather than facing downslope to allow water to run over it smoothly. An upward, elongated displacement of a roof membrane frequently occurring over insulation or deck joints. A buckle may be an indication of movement within the roof assembly. The minimum construction requirements established generally by national organizations and adopted completely or in altered form by local governing authorities. Building code controls design, construction, quality of materials, use and occupancy, location, and maintenance of buildings and structures within the area for which the code was adopted. A continuous, semi-flexible roof membrane consisting of multiple plies of saturated felts, coated felts, fabrics or mats assembled in place with alternate layers of bitumen and surfaced with mineral aggregate, bituminous materials, a liquid-applied coating or a granule-surfaced cap sheet. The lower, exposed edge of a shingle, tile or shake. A process of indenting two or more thicknesses of metal that are pressed against each other to prevent slippage between the metal. A beveled strip used to modify the angle at the point where the roofing or waterproofing membrane meets any vertical element. (1) Usually composed of metal, used to cover or shield the upper edges of the membrane base flashing or wall flashing; (2) a flashing used to cover the top of various buildings components, such as parapets or columns. A sheet, often granule-surfaced, used as the top ply of some built-up or polymer-modified bitumen roof membranes and/or flashings. (1) The physical process of sealing a joint or juncture; (2) sealing and making weathertight the joints, seams or voids between adjacent surfaces by filling with a sealant. A poured-in-place roof deck material composed of Portland cement, water, a foaming agent or pregenerated foam and air. It’s oven-dry density is about 24 to 32 pounds per cubic foot. Heavy cement-based compounds and various additives that are mixed and packaged for use in a dry form; the packaged mixture is then mixed with water and liquid bonding agents to a workable concrete-like consistency. The formation of a friable powder on the surface caused by the disintegration of the binding medium by weather factors. In steep-slope roof construction, a type of flashing used at roof-to-wall junctures and other roof-to-vertical plane intersections where an internal gutter is needed to handle runoff. Commonly used with profile tile. A material used as the exterior wall enclosure of a building. A noncontinuous metal component or angle piece used to secure a metal panel to a substrate or two or more metal components together. A method of valley application in which shingles from one side of the valley extend across the valley while shingles from the other side are trimmed back approximately 2 inches from the valley centerline. A dark brown- to black-colored, semisolid hydrocarbon produced by the distillation of coal. (1) An asphalt felt that has been coated on both sides with harder, more viscous asphalt; (2) a fiberglass felt that has been simultaneously impregnated and coated with asphalt on both sides. A fluid material applied in the field as a film to the roof surface to provide weather protection to the original roof substrate. A collection of laws (regulations, ordinances or statutory requirements) adopted by an authority having jurisdiction. A term used to describe an installation of finishing slate shingles or wood roofing at the ridge of a roof whereby the shingles on one side project beyond to the apex of the ridge. Rigid board insulation generally composted of perlite or wood fiberboard factory- bonded to polyisocyanurate or polystyrene. A roof system that uses products made of highly reflective and emissive materials for its top surface. Cool roof surfaces can remain at markedly lower temperatures when exposed to solar heat in service than surfaces of roofs constructed with traditional non-reflective roofing products. The decorative horizontal molding or projected roof overhang. Vertical wood or metal strips installed on steep-slope roofs over which horizontal battens are secured. The primary roof covering is attached or secured to these horizontal battens. Formed metal or elastomeric sheeting secured on or into a wall, curb, pipe, rooftop unit or other surface to cover and protect the upper edge of a base flashing and its associated fasteners. (1) The term used for a row of roofing material that forms the roofing, waterproofing or flashing system; (2) one layer of a series of materials applied to a surface (e.g., a five-course wall flashing is composed of three applications of roof cement with one ply of felt or fabric sandwiched between two layers of roof cement). An insulation board used over closed cell plastic foam insulation (e.g., polyisocyanurate) to prevent blistering when used in conjunction with hot bituminous membranes. Suitable cover-board insulations are glass-faced siliconized gypsum board, fiberglass board, perlite board, wood fiberboard or mineral fiberboard. Cover boards are also recommended between polyisocyanurate insulation and single-ply membranes to protect the polyisocyanurate. A metal strip sometimes installed over or under the joint between formed metal pieces. (1) A raised member used to support roof penetrations, such as skylights, mechanical equipment, hatches, etc., above the level of the roof surface; (2) a raised roof perimeter relatively low in height. Solvent-thinned bitumen used in cold-process roof adhesives, roof cements and roof coatings. Absolutely horizontal or zero slope. A structural component of the roof of a building. The deck must be capable of safely supporting the design dead and live loads, including the weight of the roof system, and the additional live loads required by the governing building codes and provide the substrate to which the roof or waterproofing system is applied. Decks are either noncombustible, (e.g., corrugated metal, concrete or gypsum) or combustible (e.g., wood plank or plywood). (1) The deformation of a structural member as a result of loads acting on it; (2) any displacement in a body from its static position or from an established direction or plane as a result of forces acting on the body. Any change of form, shape or dimensions produced in a body by a stress or force, without a breach of the continuity of its part. A deleterious change in the chemical structure, physical properties or appearance of a material from natural or artificial exposure (e.g., exposure to radiation, moisture, heat, freezing, wind, ozone and oxygen). A structure projecting from a sloping roof usually housing a window or ventilating louver. Application of asphalt, slate or wood roofing such that the lapped portion is at least 2 inches wider than the exposed portion, resulting in two layers of roofing material over the deck. In a metal roof panel or metal cap, a standing seam that uses a double overlapping interlock between two metal panels. A vertical pipe or conduit used to carry runoff water from a scupper, conductor head or gutter of a building to a lower roof level or to the ground or storm water runoff system; also called a conductor or leader. A metal flashing or other overhanging component with an outward projecting lower edge intended to control the direction of dripping water and help protect underlying building components. Usually the underlayment or the process of applying the underlayment for steep-slope roofing. In low-slope roofing, it is usually called a temporary roof. The lower edge of a sloping roof; that part of a roof which projects beyond the wall. The practice of providing regularly spaced or continuously protected (louvered or otherwise shielded) openings along a roof edge or perimeter, used as part of a ventilation system to dissipate heat and moisture vapor. (1) A bituminous emulsion is a mixture of asphalt and water with uniform dispersion of the bitumen or water globules, usually stabilized by an emulsifying agent (clay or soap) or system; (2) a relatively stable mixture of two immiscible liquids held in suspension by small amounts of emulsifiers. The distance of overlap where one ply, pane or piece extends beyond the end of the immediately adjacent underlying ply, panel or piece. A continuous membrane edge seal formed at the perimeter and at penetrations by folding the base sheet or ply over the plies above and securing it to the top of the membrane. The envelope prevents bitumen seepage from the edge of the membrane. (1) Weathering, wearing away or degradation; (2) wearing away of a coating by chalking or the abrasive action of water or windborne particles or grit. A structural separation between two building elements that allows free movement between the elements without damage to the roof or waterproofing system. The outermost adhered top or bottom, or both, sheet (or layer) of an insulation board that is composed of a different material than the insulation itself. It is commonly composed of organic paper, glass mat or a combination thereof; generally impregnated or coated, or both, with asphalt, latex, or other like material; or metal foil. (1) In steep-slope roofing, a board that is nailed to the ends of a roof rafter; sometimes supports a gutter; (2) in low-slope roofing, the vertical or steeply sloped roof or trim located at the perimeter of a building. Typically, it is a border for a low-slope roof system. Any of a wide variety of mechanical securement devices and assemblies, including nails, staples, screws, cleats, clips and bolts, that may be used to secure various components of a roof assembly. A flexible sheet manufactured by the interlocking of fibers with a binder or through a combination of mechanical work, moisture and heat. Felts are manufactured principally from wood pulp and vegetable fibers (organic felts), asbestos fibers (asbestos felts), glass fibers (fiberglass felts or ply sheets) or polyester fibers. Insulation composed principally of cellulose fibers usually derived from paper, paperboard stock or wood, with or without binders. A fiberglass-reinforced base sheet for built-up roof system construction, impregnated and coated with asphalt and surfaced with mineral matter; classified by ASTM D4601 as Type I or Type II. Blanket or rigid board insulation composed of glass fibers bound together with a binder, faced or unfaced, used to insulate roofs and walls. The thickness of a membrane or coating. Wet film thickness is the thickness of a coating as applied. Dry film thickness is the thickness after curing. (1) A half-cylindrical or half-conical shaped opening or void in a lapped edge or seam, usually caused by wrinkling or shifting of ply sheets during installation (also referred to as an edge wrinkle); (2) in shingles, a half-conical opening formed at a cut edge. The projecting edge of a rigid or semirigid component, such as an edge metal flashing flange. Components used to weatherproof or seal roof system edges at perimeters, penetrations, walls, expansion joints, valleys, drains and other places where the roof covering is interrupted or terminated. For example, membrane base flashing covers the edge of the field membrane, and cap flashings or counterflashings shield the upper edges of the base flashing. A method of interlocking metal panels in which one panel edge is folded back on top of itself and the other panel is folded under, after which the two panels are hooked together. A bituminous material used as feed stock for further processing and as a material to soften other bituminous materials. The roof edge treatment upon which spray polyurethane foam (SPF) is terminated. The vertical triangular portion of the end of a building having a double-sloping roof from the level of the eaves to the ridge of the roof. (1) A roof that has two pitches on each side of a central ridge where the upper roof areas have less slope than the lower roof areas; (2) a roof with two inclines on each slope. A metal thickness measurement; a smaller gauge number indicates a thicker metal. A horizontal beam that supports wall cladding between columns. (1) The top layer of asphalt on a smooth-surfaced built-up roof membrane; (2) a thin protective coating of bitumen applied to the lower plies or top ply of a built-up roof membrane when application of additional felts or the flood coat and aggregate surfacing are delayed. (1) The term used when referring to the ground elevation around a building; (2) the classification of materials by quality or specific type. A slate roof system in which successive slate courses diminish in length and/or thickness from eave to peak. Opaque, natural or synthetically colored aggregate commonly used to surface cap sheets, shingles and other granule-surfaced roof coverings; also referred to as mineral or ceramic granules. Coarse granular aggregate resulting from the natural erosion of rock. A flanged device, frequently metallic, designed to prevent loose aggregate from washing off the roof and to provide a continuous finished edge for the roofing. (1) Used at the bottom of a steep-slope roof system valley, a large flat metal piece(s) wider than the valley to help prevent buildup at the base of the valley either from debris or ice-dam formations. (2) A plate used to connect two or more members or to reinforce a joint. A channeled component installed along the downslope perimeter of a roof to convey runoff water from the roof to the drain leaders or downspouts. (1) The distance of overlap measured from the uppermost ply or course to the point where it laps over the undermost ply or course; (2) the head lap area. The sloping line along the outer angle formed by the meeting of two sloping sides of a roof with eaves that meet at a right angle. A roof that rises by inclined planes from all four sides of a building to form hips at the intersection of adjacent roof slopes. A cover, usually of light-gauge metal, over piping or other rooftop equipment. Resistance to fracture under the sudden application of an exerted force. In roofing materials manufacture, to completely surround the fibers in a felt or mat with bitumen with the spaces between the fibers partially or completely filled without a continuous coating of bitumen on the surface. The slope of a roof expressed in percent or in units of vertical rise per units of horizontal run. Being or composed of materials other than hydrocarbons and their derivatives, or matter that is not of plant or animal origin. Any of a variety of materials designed to reduce the flow of heat from or into a building. A felt, metal or membrane sheet material used between courses of steep-slope roofing to improve the weather- and water-shedding characteristics of the primary roof covering during times of wind-driven precipitation; typically used with wood shakes. Individual shingles that mechanically attach to one another to provide enhanced wind resistance without reliance on sealing strips. Any of the small timbers, metal or wood beams arranged parallel to one another and spanning from wall to wall to support a floor, ceiling or roof of a building. A metal flashing detail installed at the eave end of a roof-to-wall transition designed to direct runoff away from the wall or wall cladding. That part of a roofing, waterproofing or flashing component that overlaps or covers any portion of the same or another type of adjacent component. Occurs where overlapping materials are seamed, sealed or otherwise bonded. Temporary loads that the roof structure must be designed to support, as required by governing building codes. Live loads are generally moving and/or dynamic or environmental (e.g., people, installation equipment, snow, ice, rain). In roofing: (1) production lot—all material produced in one eight-hour shift of the same type (and color when applicable); (2) delivery lot—all material of the same type delivered at one time by one truck or railroad car. A category of roofs that generally includes weatherproof membrane types of roof systems installed on slopes at or less than 3:12. A decorative steep-sloped roof on the perimeter of a building. Construction, usually set in mortar, of natural building stone or manufactured units, such as brick, concrete block, adobe, glass block, tile, manufactured stone or gypsum block. A written description of the chemicals in a material or product and other pertinent data, including such things as safe handling and emergency procedures. In accordance with OSHA regulations, it is the manufacturer’s responsibility to produce MSDSs and the employer’s responsibility to communicate their contents to employees. Generally used to describe a membrane that has been attached to the substrate at defined intervals. A flexible or semiflexible roof covering or waterproofing whose primary function is to exclude water. A metal counterflashing used to wrap a penetration and prevent water infiltration through the top of the penetration base flashing. A sheet-metal product having an installed weather exposure less than 3 square feet per sheet. (Sometimes referred to as “blocking”); a piece or pieces of dimensional lumber and/or plywood secured to a structural deck or walls that provides a receiving medium for the fasteners used to attach membrane or flashing. A member, usually of wood, set into or secured to nonnailable roof decks or walls to allow for positive anchorage by nailing of roofing felts, insulation or flashings. A method of valley construction in which the steep-slope roof-covering materials on both sides are trimmed along each side of the valley, exposing the metal valley flashing. Being or composed of hydrocarbons or their derivatives; matter of plant or animal origin. Occupational Safety and Health Administration; a government agency in the U.S. Department of Labor. Its mission is to maintain a safe and healthy work environment. Any material installed on top of a waterproofing assembly. Component(s) in a roof or waterproofing drainage system used to protect it against damage from a water load imposed by blocked or partially blocked primary drainage system; e.g., overflow scupper, overflow interior drain. The bottom flat part of a roofing panel that is between the ribs of the panel. The part of a perimeter wall that extends above a roof. A support or base for rooftop components such as pavers, pipes and small rooftop units. (1) Any construction (e.g., pipes, conduits, HVAC supports) passing through a roof; (2) the consistency of a bituminous material expressed as the distance, in tenths of a millimeter (0.1 mm), that a standard needle penetrates vertically into a sample of material under specified conditions of loading, time and temperature (ASTM D5 is the test method used for bituminous materials). A cone is sometimes used for special purposes instead of a needle. (1) The installation of a roof or waterproofing system during two or more separate time intervals or different days. Applications of surfacings at different time intervals are typically not considered phased application. See “surfacing.” (2) A roof system not installed in a continuous operation. A flanged, open-bottomed enclosure made of sheet metal or other material placed around a penetration through the roof, properly stripped-in to the roof membrane and filled with grout and bituminous or polymeric sealants to seal the area around the penetration. A wood deck of planks usually 1 5/8 inches to 3 1/2 inches thick and 6 inches to 8 inches wide laid on the flat tongued-and-grooved or splinted edges and spiked together. A roofing industry generic term used to describe asphalt roof cement that is a trowelable mixture of solvent-based bitumen, mineral stabilizers, and other fibers and/or fillers; generally it is intended for use on relatively low slopes, not vertical surfaces. A flat panel built up of sheets of wood called veneers, united under pressure by a bonding agent to create a panel with an adhesive bond between plies as strong as or stronger than the wood. Plywood is constructed of an odd number of layers with grain of adjacent layers perpendicular. Layers may consist of a single ply or two or more plies laminated with parallel grain direction. Outer layers and all odd-numbered layers generally have the grain direction oriented parallel to the long dimension of the panel. (1) A bitumen modified by including one or more polymers (e.g., atactic polypropylene, styrene butadiene styrene); (2) composite sheets consisting of a polymer-modified bitumen often reinforced with various types of mats or films and sometimes surfaced with films, foils or mineral granules. Insulation composed principally of the catalyzed reaction product of polyisocyanate and polyhydroxy compounds, processed usually with fluorocarbon gas to form a rigid foam having a predominately closed-cell structure. It is sprayed-in-place or preformed into boards. A synthetic thermoplastic polymer prepared from vinyl chloride. PVC can be compounded into flexible and rigid forms through the use of plasticizers, stabilizers, fillers and other modifiers. Rigid forms are used in pipes; flexible forms are used in the manufacture of sheeting and roof membrane materials. The excessive accumulation of water at low-lying areas on a roof that remains after 48 hours after precipitation under conditions conducive to drying. In spray polyurethane foam (SPF) roofing, the condition in which the foam surface shows a coarse texture where valleys form sharp angles. This surface is unacceptable for proper coating and protection. The drainage condition in which consideration has been made during design for all loading deflections of the deck and additional roof slope has been provided to ensure drainage of the roof area within 48 hours of precipitation. A type of sealant often supplied in two parts and used at difficult-to-flash penetrations, typically in conjunction with penetration pockets to form a seal. (1) A thin, liquid-applied solvent-based bitumen that may be applied to a surface to improve the adhesion of subsequent applications of bitumen; (2) a material that is sometimes used in the process of seaming single-ply membranes to prepare the surfaces and increase the strength (in shear and peel) of the field splice; (3) a thin liquid- applied material that may be applied to the surface of spray polyurethane foam (SPF) to improve the adhesion of subsequent application of SPF protective coatings. An insulated and ballasted roof assembly in which the insulation and ballast are applied on top of the membrane (sometimes referred to as an inverted roof assembly). (1) A sacrificial material used to shield a waterproofing material from damaging external forces; (2) a separate layer of material installed on top of the membrane to protect a vegetative roof waterproofing membrane from damage. A sacrificial material used to shield one roof system component from another. A method of asphalt shingle application also referred to as the “straight-up method,’ whereby shingle courses are applied vertically up the roof rather than laterally or across and up; requires placing a part of a shingle under product already in place every other course, which may result in a less-than-recommended number of nails being used for fastening. One of a series of sloped structural members that extend from the ridge or hip to the downslope perimeter or eave designed to support the roof deck or secondary horizontal structural members such as purlins and the associated loads. The sloped edge of a roof at or adjacent to the first or last rafter. The process of installing an additional roof covering over a prepared existing roof covering without removing the existing roof covering. A component in a two-piece counterflashing that may be surface-mounted to a wall, inset into a raggle or embedded behind cladding. It is used for ease of installation and future maintenance and repair or replacement. A sheet-metal receiver for the attachment of counterflashing. A reglet may be surface-mounted, inset into a raggle or embedded behind cladding. A roof or waterproofing membrane that has been strengthened by the addition or incorporation of one or more reinforcing materials, including woven or nonwoven glass fibers, polyester mats or scrims, nylon or polyethylene sheeting. The process of recovering or replacing an existing roof covering. (1) In spray polyurethane foam (SPF) roofing, the B-component (B-side). This component contains a catalyst, blowing agent, fire retardants, surfactants and polyol. It is mixed with the A-component (A-side) to form polyurethane; (2) in plastics manufacturing, any polymer that is a basic material for plastics; (3) in grouting, a material that usually constitutes the base of an organic grout system. The modification of an existing building or facility to include new systems or components. Highest point on a roof, represented by a horizontal line where two roof areas intersect, running the length of the area. A horizontal board in wood frame construction at the upper end of the common rafters to which the rafters are nailed. A material or covering applied over the ridge of a roof. The last or top course of roofing materials, such as tile, roll roofing, shingles, that covers the ridge and overlaps the intersecting field roofing. A ventilator located at the ridge that allows the escape of warm and/or moist air from the attic area or rafter cavity. A general term applied to rolls of roofing felt, ply sheet, etc., that are typically furnished in rolls. Coated felts, either smooth or mineral-surfaced. An assembly of interacting roof components including the roof deck, vapor retarder (if present), insulation and membrane or primary roof covering designed to weatherproof. The exterior roof cover or skin of the roof assembly consisting of membrane, panels, sheets, shingles, tiles, etc. Raised frame used to mount mechanical units such as air conditioning units, exhaust fans, skylights, etc., on a roof. The angle a roof surface makes with the horizontal, expressed as a ratio of the units of vertical rise to the units of horizontal length (sometimes referred to as run). For English units of measurement, when dimensions are given in inches, slope may be expressed as a ratio of rise to run, such as 4:12, or as an angle in degrees. A system of interacting roof components generally consisting of a membrane or primary roof covering and roof insulation (not including the roof deck) designed to weatherproof and sometimes improve the building’s thermal resistance. Horizontal dimension of a slope. A small tapered/sloped roof area structure that helps to channel surface water to drains; frequently located in a valley. A saddle is often constructed like a small hip roof or pyramid with a diamond-shaped base. A felt that has been immersed in hot bitumen; the felt adsorbs as much bitumen as it can retain under the processing conditions but remains porous and contains voids. The process of striking off excess concrete to bring the top surface of the concrete to the proper finish and elevation. A woven, nonwoven or knitted fabric composed of continuous strands of material used for reinforcing or strengthening membranes. A drainage device in the form of an outlet through a wall, parapet wall or raised roof edge typically lined with a sheet-metal sleeve. A joint formed by mating two separate sections of material. Seams can be made or sealed in a variety of ways, including adhesive bonding, hot-air welding, solvent welding, using adhesive tape and sealant. (1) An edge or edging that differs from the main part of a fabric, granule-surfaced roll roofing or cap sheet, or other material; (2) a specially defined edge of the material (lined for demarcation), which is designed for some special purpose, such as overlapping or seaming. (1) The period of time a building component or system will function successfully without replacement or excessive repair assuming reasonable or expected periodic maintenance is performed; (2) the number of years of service a material, system or structure will provide before rehabilitation or replacement is required. (1) A small unit of prepared roofing designed for installation with similar units in overlapping rows or courses on inclines normally exceeding 3:12 slope; (2) to cover with shingles; (3) to apply any sheet material in succeeding overlapping rows like shingles. The continuous longitudinal overlap of neighboring like materials. A fastener used to connect adjacent panels together at the side lap. The finish covering of an exterior wall of a frame building; the siding may be a cladding material such as wood, aluminum or vinyl (but not masonry). An apparatus with square apertures for separating sizes of material. Roof membranes that are field-applied using just one layer of membrane material (either homogeneous or composite) rather than multiple layers. A roof system in which the principal roof covering is a single-layer flexible thermoset or thermoplastic membrane. An opening in a roof that is covered with a transparent or translucent material; used to admit diffuse light to the space below; commonly mounted on a framed curb. A layer of reinforced concrete, generally flat and horizontal (or minimally sloped), usually of uniform thickness, placed on prepared earth or supported by beams, columns or walls. A slab on grade below the elevation of the exterior earth grade. A horizontal placement of concrete placed directly over a prepared earth substrate. A hard aggregate that is left as a residue from blast furnaces; may be used as a surfacing material on certain (typically bituminous) roof membrane systems. A hard, brittle metamorphic rock consisting mainly of clay minerals used extensively as dimensional stone for steep roofing and in granular form as surfacing on some other roofing materials. Relative lateral movement of adjacent components of a roof membrane. It occurs mainly in roofing membranes on a slope, sometimes exposing the lower plies or even the base sheet to the weather. The angle of incline, usually expressed as a ratio of rise to run, or as an angle. A separate cap that snaps on over the vertical legs of some single standing or batten seam metal roof systems. The exposed undersurface of any exterior overhanging section of a roof eave. A manufactured or custom built air inlet source located at the downslope eave or in the soffit of a roof assembly. A foamed plastic material, formed by mixing and spraying two components, methylene diphenyl diisocynate (MDI) (“A-component”) and resin containing a polyol (“B-component”) to form a rigid, fully adhered, water-resistant and insulating membrane. (1) A unit used in measuring roof area equivalent to 100 square feet; (2) a quantity of material sufficient to cover 100 square feet of a roof deck. In metal roofing, a type of seam between adjacent sheets of material made by turning up the edges of two adjacent metal panels and then folding or interlocking them in a variety of ways. The first layer of roofing, applied along a line adjacent to the downslope perimeter of the roof area; with steep-slope water-shedding roof coverings, the starter course is covered by the first course. Roll roofing or shingle strips applied along the downslope eave line before the first course of roof covering and intended to fill spaces between cutouts and joints of the first course. A category of roofing that generally includes water-shedding types of roof coverings installed on slopes exceeding 3:12. Individual pieces of sheet-metal material used to flash walls, around chimneys, dormers and such projections along the slope of a roof. Individual pieces are overlapped and stepped up the vertical surface. A method of installing roofing rolls or sheet good materials parallel with the slope of the roof. (1) A measure of the load on a structural member in terms of force per unit area; (2) the force acting across a unit area in solid material in resisting the tension, compression or shear that tends to be induced by external forces; (3) the ratio of applied load to the initial cross-sectional area. Membrane flashing strips used for sealing or flashing metal flashing flanges into the roof membrane. Asphalt shingles that are manufactured in strips approximately three times as long as they are wide with or without cutouts. Application of membrane stripping ply or plies. A metal roof panel designed to be applied over open framing rather than a continuous or closely spaced roof deck. An intentional depression around a roof drain or scupper that promotes drainage. A metal pan used to create a depression around a drain or scupper to enhance drainage. The resulting surface from the final pass of spray polyurethane foam (SPF). The following terms are used to describe the different SPF surface textures: smooth orange peel, coarse orange peel, verge of popcorn, popcorn, treebark and oversprayed. The top layer or layers of a roof covering specified or designed to protect the underlying roofing from direct exposure to the weather. Any of several elastic substances resembling natural rubber, prepared by the polymerization of butadiene, isoprene and other unsaturated hydrocarbons. Synthetic rubber is widely used in the fabrication of single-ply roofing membranes. A section of the exposed portion of a strip shingle defined by cutouts. In spray polyurethane foam (SPF) roofing, a curing phase of polyurethane foam when the material is no longer sticky. When the polyurethane foam is tack-free, it can be sprayed over with another pass, referred to as a “lift.” With some care, the polyurethane foam can be walked on soon after it is tack-free. Whitish powder applied at the factory to the surface of some roofing materials (e.g., vulcanized EPDM membranes), used as a release agent to prevent adhesion of the membrane to itself. Talc is a naturally occurring mineral. A system of precut or premolded insulation boards or a poured insulation fill designed to provide slope to the roof deck before installing the roof membrane. (1) The technique of connecting joints between insulation boards or deck panels with tape; (2) the technique of using self-adhering tape-like materials to seam or splice single-ply membranes. A brown or black bituminous material, liquid or semisolid in consistency in which the predominating constituents are bitumens obtained as condensates in the processing of coal, petroleum, oil-shale, wood or other organic materials. A term used to designate a slate roof system with a range of slate thicknesses mixed throughout; usually uses slates with rougher texture than standard slate with uneven tails or butts. A water-resistant membrane or material assembly extending totally through a wall and its cavities positioned to direct water within the wall to the exterior, usually through weep holes. The nut and bolt assembly attached to the tie-back rod, which stabilizes the shoring or lagging. In roofing and waterproofing, the transitional seal used to terminate a roofing or waterproofing application at the top or bottom of flashings or by forming a watertight seal with the substrate, membrane, or adjacent roof or waterproofing system. One of the oldest types of dimensional structural wood used as roof decking. The sides are cut with convex and concave grooves so adjacent planks may join in alignment with each other to form a uniform roof deck. Method used in the installation of polymer-modified bitumen membranes characterized by using open flame propane torch equipment. A structure made up of three or more members usually in some triangular arrangement with each member designed to carry a tension or compression force. The entire structure in turn acts as a beam. In spray polyurethane foam (SPF) roofing, a coating of polyurethane foam formed by the mixing and reaction of two different materials. An asphalt-saturated felt or other sheet material (may be self-adhering) installed between a roof deck and roof covering, usually used in a steep-slope roof construction. Underlayment is primarily used to separate a roof covering from the roof deck, shed water and provide secondary weather protection for the roof area of the building. Damage done by the ultraviolet rays of the sun. Layer(s) of material or a laminate used to appreciably reduce the flow of water vapor into a roof assembly. An opening designed to convey air, heat, water vapor or other gas from inside a building or a building component to the atmosphere. An aggregate used in lightweight insulating concrete formed by heating and expanding a micaceous material. The resistance of a material to flow under stress. For bitumen, viscosity measurements are reported in centipoise (cP or cPs) at a specific temperature; as viscosity increases, flow rate decreases. (1) High traffic and high-service-frequency areas on a rooftop, particularly those leading and adjacent to vents, hatches and heavy duty air-conditioning units; (2) materials or accessories such as traffic mats or pavers installed on rooftop surfaces to provide wearing surfaces for traffic and/or protect a roof system from damage resulting from rooftop traffic. A roof system that depends on gravity for quick drainage via water shedding to prevent water entry into or through the system. Treatment of a surface or structure to prevent the passage of water under hydrostatic pressure. A system of interacting waterproofing components consisting at a minimum of a membrane but may also include protection, drainage and insulation courses, as well as waterstops, expansion and control joints, various flashings and counterflashings, and overburden such as pavers, cast concrete and wire mesh or rebars. It does not include the substrate. 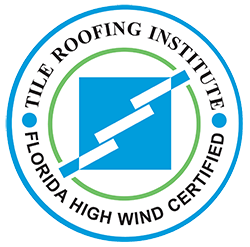 The force caused by the deflection of wind at roof edges, roof peaks or obstructions causing a drop in air pressure immediately above the roof surface. A method of valley construction in which shingles or roofing from both sides of the valley extend across the valley and are woven together by overlapping alternate courses as they are applied.